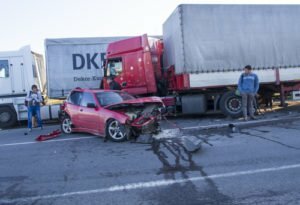 Truck accidents are just as bad as the word ‘bad.’ Broken bones, lacerations, destroyed properties, psychological damage, and unplanned expenses are all an aftermath of a truck accident. Worst case scenarios might be death. What do you do when you are a victim of this unfortunate event? It is our advice at Rawa Law Group that you reach out and hire the services of an experienced truck accident attorney in order for you to make claims and get the full settlement you deserve – yes, you need to get compensated for your pains! There are accident lawyers in Ontario, CA but to hire an experienced attorney, you should consider hiring one of the many experienced truck accident attorneys at our firm at Rawa Law Group. We are a superior law agency and have amassed more than 50 years of combined experience in the field. We are known for helping clients make claims and have made recoveries running into several hundreds of millions for our clients. We stand firmly for advocacy for the injured and have been successful with that over the years. Rawa Law Group offers you free case evaluation and only looks to get payment from you after winning your case. While working on your case, we do not work alone but ensure we keep you aware of your case procedures from the beginning to the end. Our attorneys also chip in one or two proper legal advice at zero hidden charges. Most times, we offer flexible appointment hours to clients and even make a home or hospital visitations all in a bid to give you the needed legal presence to enhance your case. Hire an experienced truck accident attorney in Ontario, CA by walking into our office.